We've always loved this liberty print fabric, and it seems you do too, we've had so many requests to bring it back so it's now part of our SP classics range! 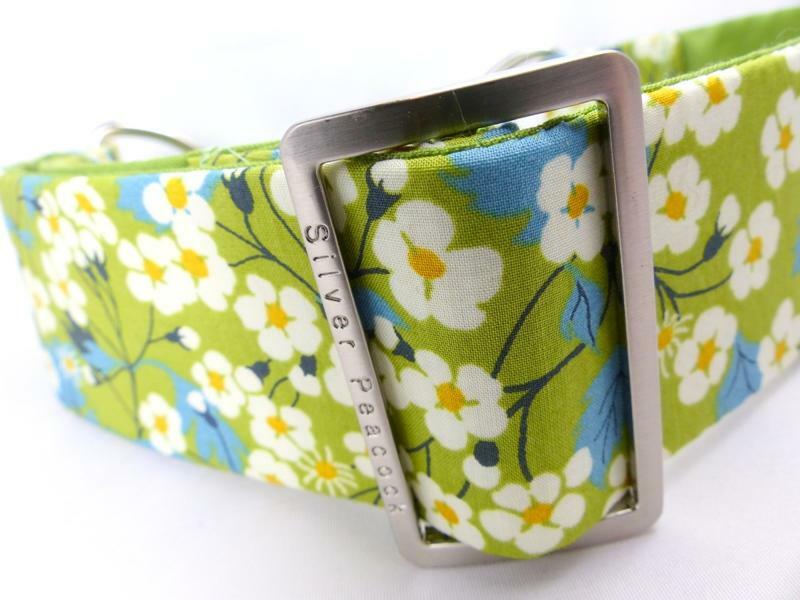 A stunning Liberty Print floral in white, yellow dark green and duck egg blue on a background of lime green. 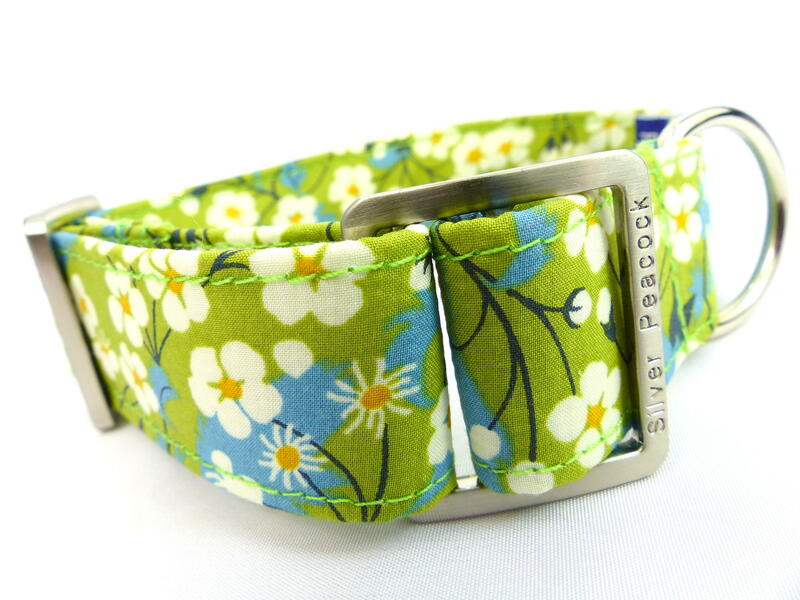 It looks amazing on all sorts of hounds including brindles and blues. 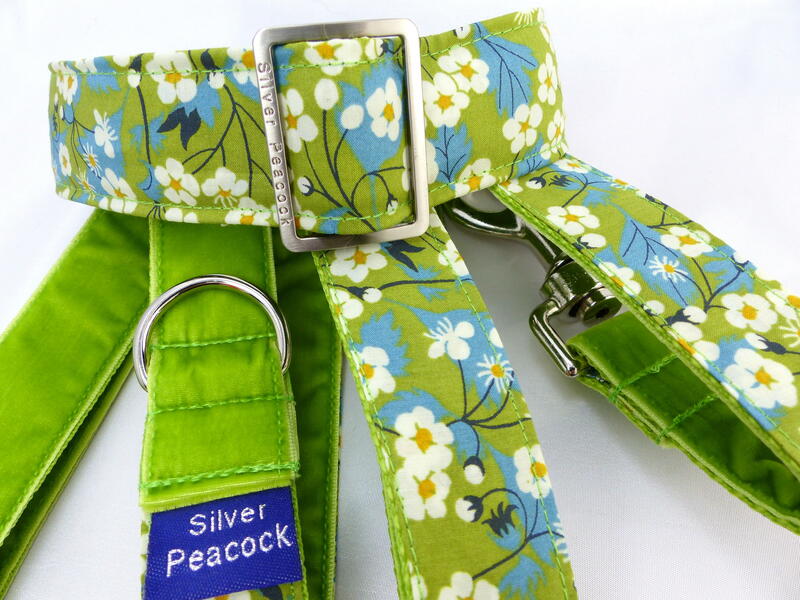 The collar is lined in complementary green fabric and is finished with our signature hardware. 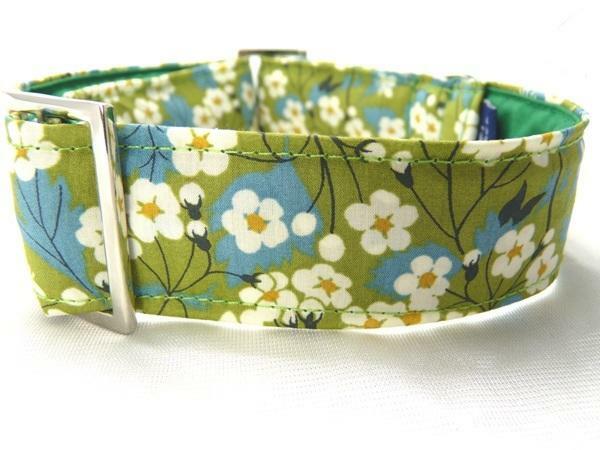 This fabric would be perfect for tiny collars and Ultimate leads.